Determining the best way to explore any city requires some planning but usually we find that getting out on your own two feet and wandering around is the best way to find hidden gems along with the main tourist attractions! Our recent trip to Copenhagen was no different as we took a really insightful walking tour around many of the leading attractions, but the downside to doing this is that you are really only able to see so much in a short timeframe. As we were only in Copenhagen for a little over 24 hours, we wanted to really maximize our time and also see as many attractions as possible. Well, thanks to Strömma we were able to experience the amazing Grand Tour of Copenhagen – a beautiful hour long canal boat tour that enables you to learn more about the history of Denmark and see a variety of iconic buildings and modern day structures. There are a plethora of things to do in Copenhagen and there is no between way to experience them by taking the Grand Tour. Strömma Danmark is part of Strömma Turism & Sjöfart AB and is one of the leading adventure companies throughout Scandinavia. Our mission is to create experiences. Experiences that entertains, educates and will result in lifelong memories. Taking a tour of Copenhagen by canal boat is intriguing, exciting and of course extremely memorable with the breathtaking scenery and attractions you take in along the tour. We can certainly attest to the Grand Tour certainly creating an experience that educated us, entertained us and generated lifelong memories that we can take away with us. Copenhagen’s canal tours date back to the early 1900s and the first guided tour took place in 1948. 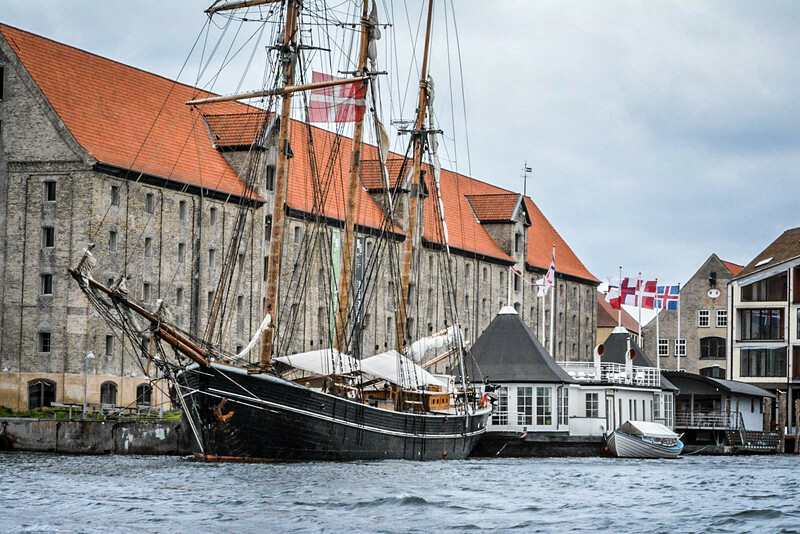 It is no surprise that this became an instant hit with locals and tourists alike as it’s evolution and technology of the boats continue to make this a great way to see Copenhagen. If you plan on taking the Grand Tour, the first thing to note is the two docks where you can take the tour from. We opted for Nyhavn but it is also possible to take the tour from Gammel Strand, dependent on which is more convenient. Make sure you plan in advance which dock you intend to get on the boat as the times differ at both locations. Tickets are available to purchase either online or at one of the ticket offices. Admission is 75DKK ($15) for adults and 35DKK ($7) for children under the age of 11. This is definitely good value for money as it provides such a unique way to see Copenhagen. If you are leaving from Nyhavn as we did, depending on the weather will determine if the boats can pass under some of the bridges in Nyhavn Harbour. If not, your guide will collect you from the ticket office and lead you to the boat, a short walk down the harbour. We were very fortunate to have a great guide who was particularly knowledgeable on all of Copenhagen’s leading attractions that we passed by on the tour. 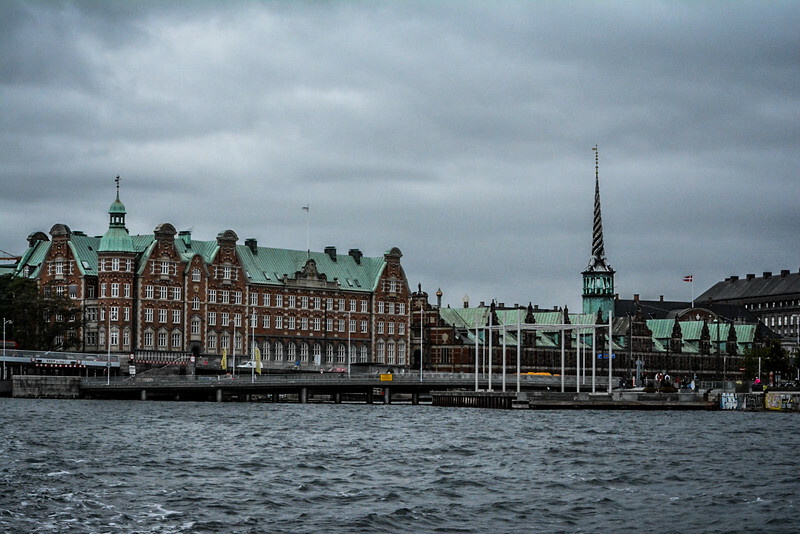 Depending on which harbour you leave from will determine the order in which you visit these attractions but given that we left from Nyhavn, I am going to share the order that we experienced them. 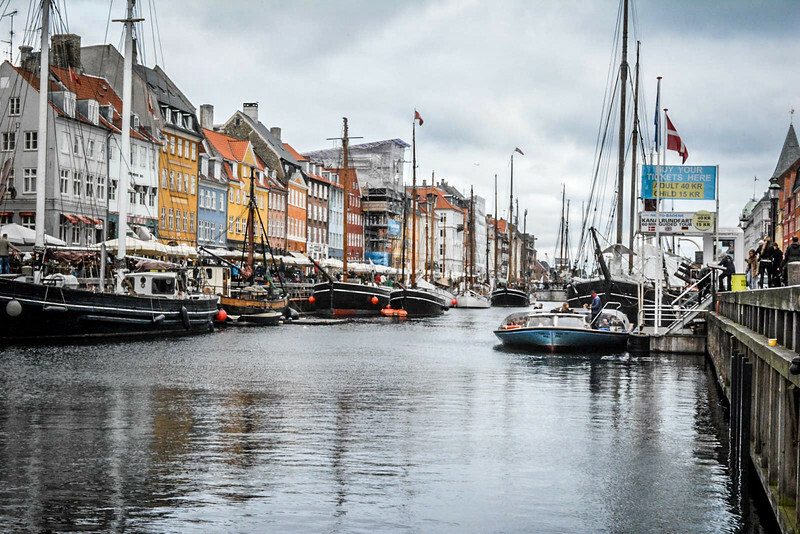 Technically this is not one of the ‘advertised’ attractions along the tour, but the beauty of the buildings and all of the boats docked in Nyhavn Harbour make this a very attractive destination worth exploring. 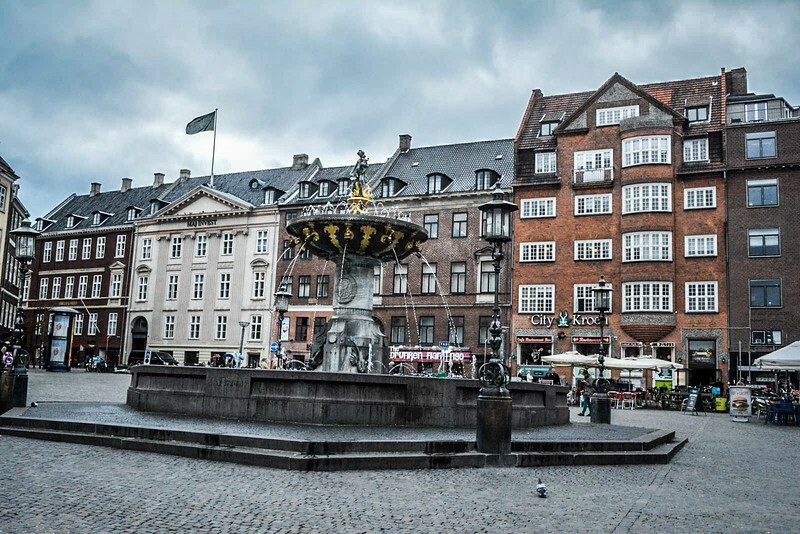 You can sample some of Copenhagen’s finest cuisine in one of the many restaurants along Nyhavn, or as we did sample a delectable Danish hotdog from one of the local vendors. One of the more modern designs in Copenhagen, Experimentarium City is a great place to take the kids to have a hands on experience. Seeing the impressive, modern day architectural Danish design of the building was enough to make us think this would be a really cool experience. 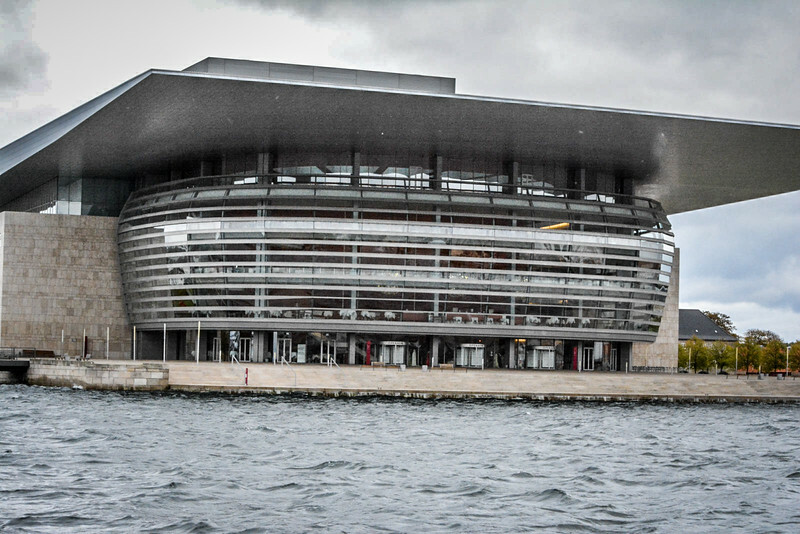 The national Opera House of Denmark, this is one of the most modern opera houses around the world located on the island of Holmen in Copenhagen. I am easily impressed when it comes to fine architecture and I am glad that we were able to pause for a few minutes to take in the beautiful design of this building. I definitely would love to return here to experience a play or other attraction inside the Opera House. Part of the Holmen neighbourhood which was the former home of the Royal Danish Naval base, the Sixtus Battery is an impressive guardhouse that we passed en route to the ‘open water’ leg of the Grand Tour. 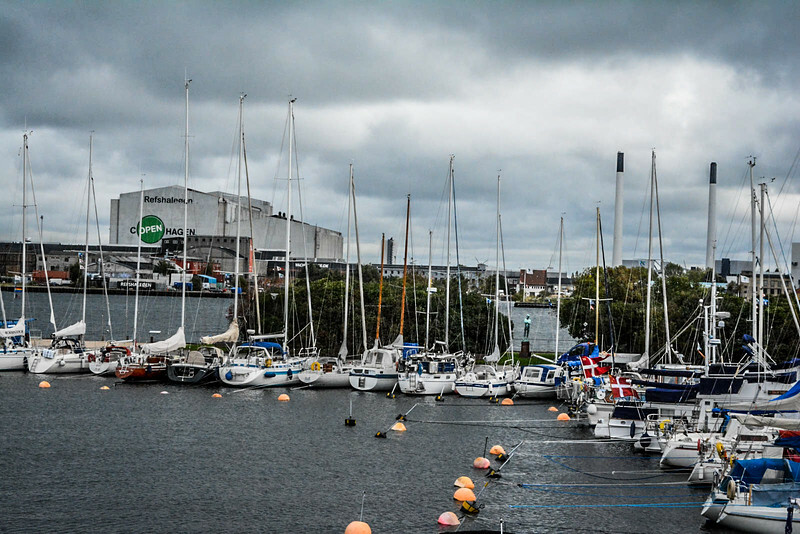 The naval base was closed in 1993 and now occupies just the Royal Danish Naval Academy on Nyholm (one of the islands that make up the cluster known as Holmen). 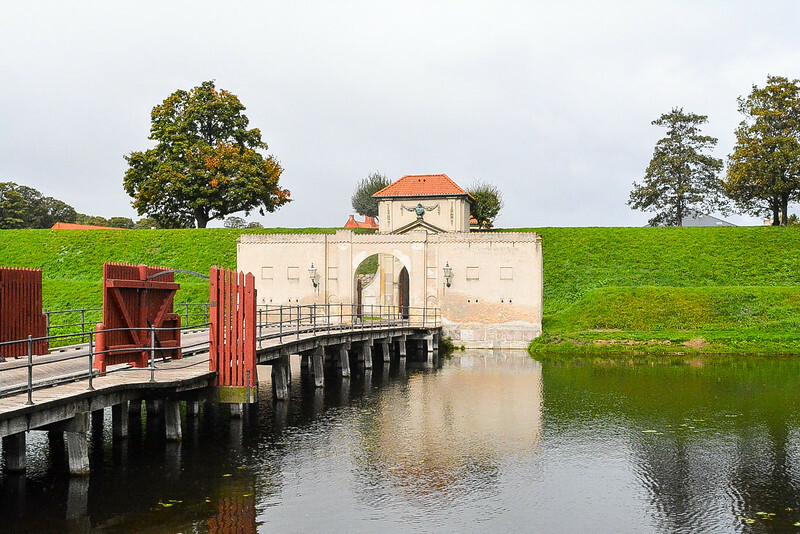 Famously known as the sea fort to Copenhagen, Trekroner Fort was a key focal point when the British invaded Copenhagen in 1807. It was opened to the public in 1984 when it no longer was utilized as a military barracks. 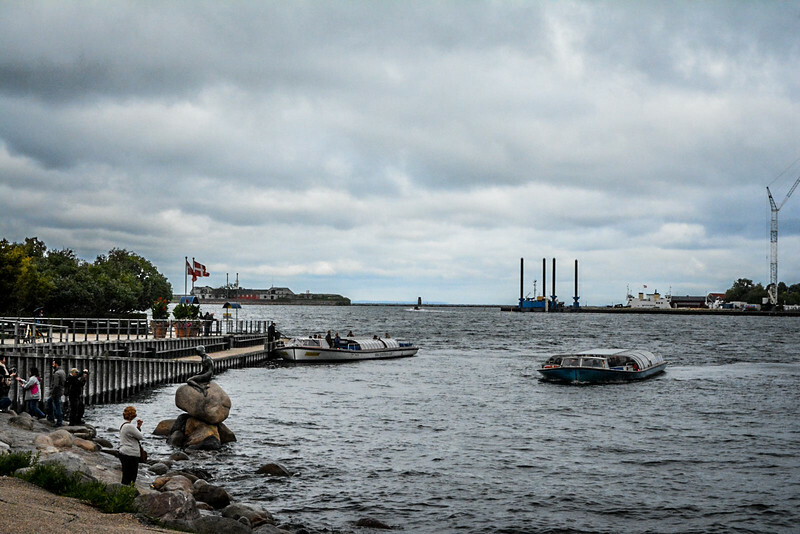 Cruise Ship Harbour or Langelinie is a key hub for cruise ships to port as they embark on Baltic State tours and also cruises to Greenland and Iceland among others. 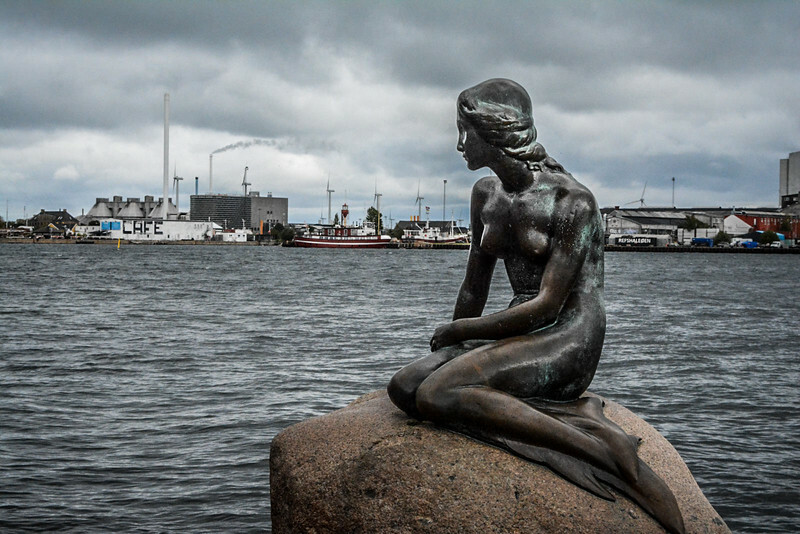 Possibly the most famous landmark in all of Copenhagen, the Little Mermaid is an iconic bronze statue that sits by the waterside of the Langelinie harbour. Based upon the fairytale story by Copenhagen native, Hans Christian Andersen, it is no surprise that this structure is visited by millions of tourists every year. We actually walked around Kastellet prior to taking the tour and it really is cool to see the layout of this fortress. 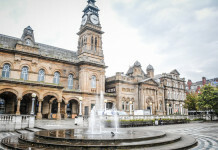 There are a number of attractions inside including a church, windmill and buildings that still house various military activities but today it is most commonly known as a public tourist attraction. 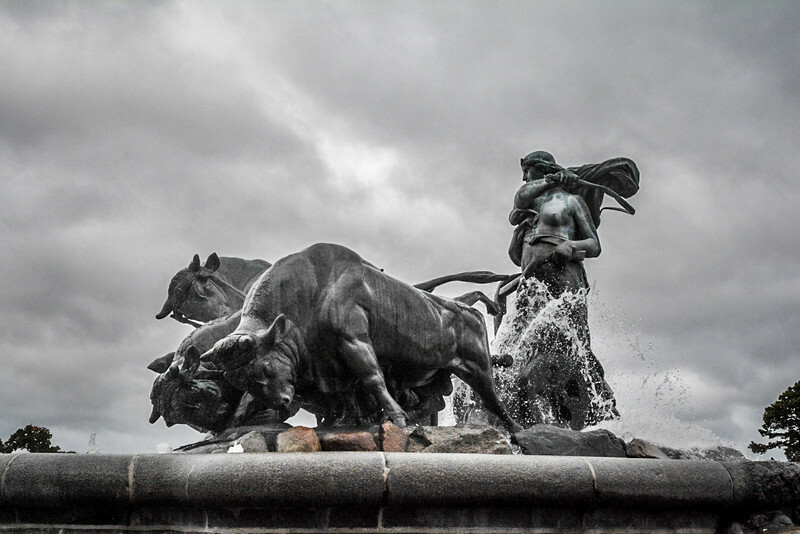 A large iconic fountain next to the Kastellet fortress, Gefions fountain features a number of animal figures lead by the legenedary Nordic goddess, Gefjon. It sits directly in front of St. Alban’s Church which is an English Anglican church. The winter home of the Danish royal family, Amalienborg Palace is a rich iconic structure that stands proudly on the Copenhagen harbour front. The various royal residences that collectively comprise this palace are all lavishly designed and provide a perfect icon for Danish grandeur. The home of the Royal Danish Theatre, this is yet another really cool, modern designed piece of architecture. Copenhagen really has a nice blend of modern designs mixed in with the historic buildings and palaces that continue to play an integral part in the landscape here. Nordatlantens Brygge is a cultural centre in Copenhagen that is dedicated to promoting the cultural arts and other iconic Danish memorabilia. Even though this building was once an old maritime warehouse, it still provides a great spot to explore if you want to learn more about Denmark among other North Atlantic nations. As we passed by the area of Christiania, I was trying to compare what I saw with a review I had read prior to heading to Copenhagen on Trip Advisor that indicated this was the third most popular tourist attraction in Denmark! At first glance there really isn’t anything to it but perhaps that is just because you are on a boat. However, the quirkiness and uniqueness of the ‘freetown’ neigborhood is what makes this such a popular spot for visitors. If there is one iconic attraction that I would have to loved to experience up close, it would be Our Saviors Church simply because of the gorgeous spiral staircase that you can climb to the summit and overlook the gorgeous city from a birds eye view. This corkscrew style staircase is definitely worth experiencing I am sure and hopefully next time we head to Denmark we can take a stroll up these stairs. Another ultra-modern design of a building is the Black Diamond which is an extension to the Royal Danish Library. 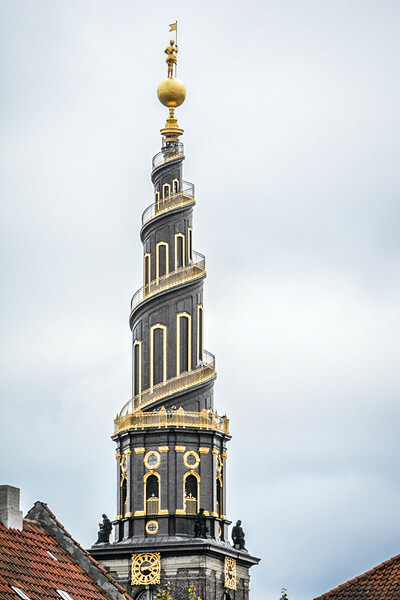 This tour certainly proves that Copenhagen is a great city to explore if you have any interest in modern architecture, something you probably wouldn’t associate at first glance with Denmark’s capital. Enough of the current day architecture!! Let’s go back in time and experience one of the more archaic buildings, the National Museum of Denmark. Opened in 1849, this houses Denmark’s largest collection of cultural history along with a variety of collections that have been donated from around the world. 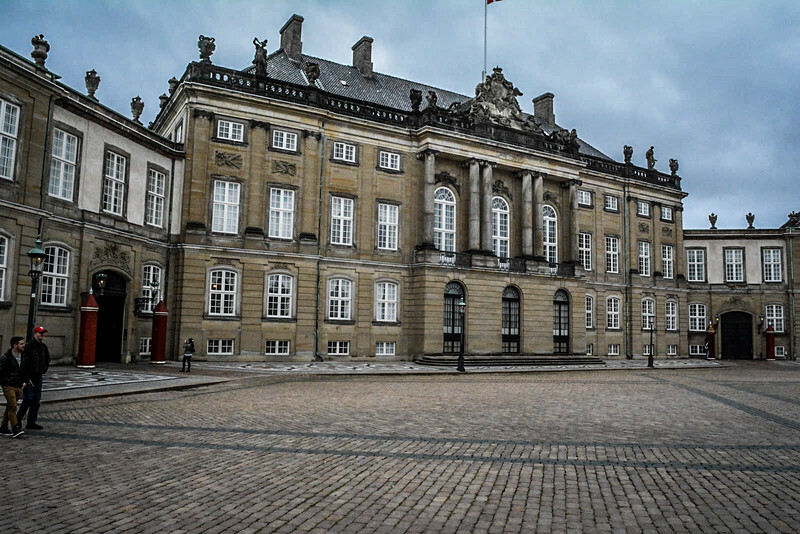 The home of the Danish parliament can be found inside Christiansborg Palace. The present building is the third ‘castle’ to be constructed on this particular site, the first being built in the 12th century. The exterior of the building still reflects the traditional architectural design of the original castle and inside there are remains of each of the iterations, each one lost due to major fires that raged through the buildings in past centuries. Stroget is Copenhagen’s finest shopping district and houses many of the world’s leading designer brands alongside many local establishments. You can’t really see this from the Grand Tour but the moment you get off in either Gammel Strand or Nyhavn, I would highly recommend heading over there if you want some Danish retail therapy. One of the oldest buildings throughout Copenhagen is the Old Stock Exchange. Referred to as Børsen, the construction of this dates back to the early 17th century. The most prominent aspect of this building as you pass by is the dragon shaped spire that towers above the rest of the building. Apparently the design is of four dragon tails intertwined together. The final leg of the Grand Tour before heading back to the Nyhavn Harbour passes by the Danish Architecture Centre. It’s interesting to note that passing by here our guide informed us that one of Denmark’s finest restaurants can be find near here! Exploring a city using a different form of transportation than the norm is a really cool experience and I would highly recommend taking the Grand Tour of Copenhagen by Strömma. The best thing about this tour aside from the experience of going under some really low bridges (I mean low because if you are standing outside you need to duck your head!!) is that you are able to catch a glimpse of all the above mentioned attractions and figure out which you want to explore further. We would like to thank Strömma for providing us with complimentary tickets to take this tour in return for consideration of a blog post. 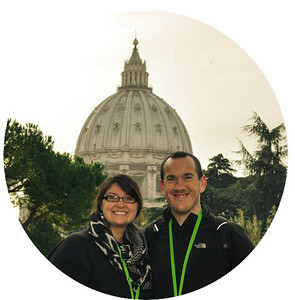 The opinions in this post are entirely ours from our personal experience on the Grand Tour. Denmark looks gorgeous, doesn’t it. Of course no trip is complete without seeing the Little Mermaid! Wow, I can’t believe how much of Copenhagen you experienced in such a short period of time! You all certainly garnered some nice memories from a little over a day in the city. I’ve heard a lot about Christiania over the years and would really enjoy having a day to wander around that unique part of the city. I did a boat tour in Paris on the Seine. I enjoyed it very much. This one sounds like a great way to get a high level idea of Copenhagen even if you have tons of time to get the lay of the land. Thank you for the tour around Copenhagen! You got to see so much with this tour, very impressive! The spiral staircase on that church is pretty awesome. You certainly saw a lot during your visit! Copenhagen is one of those places I’ve always wanted to visit, and reading about all these great places makes me want to go even more. We loved Copenhagen – probably one of my favorite cities of all time. Was very disappointed by the little mermaid though lol it’s amusing how a little statue with HORDES of tourists gets so much acclaim! I spent a few days in Copenhagen back in June, and I have to agree Christiania was a bit… well, underwhelming. It was a neat place, but the guide books definitely over hyped it. Looks like canal cruise is a great way to see Copenhagen. We did kayaking tour and loved seeing the sights of copenhagen from water. Sounds like a great tour, covering most of what Copenhagen has to offer. The experience of ducking your head makes the tour fun, I’m sure! It’s the perfect tour for those who only have a short time to spend in the Danish capital, but a day around Christiania is well worth it! It was the perfect tour for us Margherita given our time constraints in Copenhagen! The head ducking happened on various occasions, some bridges were a little lower than others – in fact on some occasions, the boat was only just able to get through! Chris, This post just reminded me that it’s high time I get back to Copenhagen. I haven’t been in years. Love it. It was a very informative post, great work! I’m definitely returning to Copenhagen! Thanks for refreshing my memory and inspiring me to return for a longer stay. Thanks Pete, yeah we are ready to head back to Copenhagen ourselves and spend a little longer there to explore more! We had a great time despite only spending a few days there, it’s such a welcoming city and with so much history and gorgeous architecture, it just makes you want to return. The Little Mermaid statue really amazing.the photographs are really good.Very beautiful places.Thanks for sharing this article with us. Copenhagen is a great city – my husband was there. 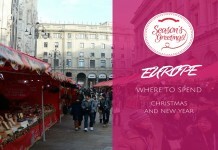 So many wonderful things to see and do! This article has a great selection!